Your gutters might be trying to tell you something. They’ve witnessed spring cleaning in full swing; they’ve watched you spruce up your lawn and tend to your gardens with care. But have you given attention to one of your home’s most important functions? Gutters often don’t get the attention they deserve. They are, after all, a vital piece of your home’s puzzle, and their functionality is essential to the health and longevity of your home. Working gutters divert the rain from those springtime showers away from the foundation and roofing of your home, ensuring that the building doesn’t fall victim to water damage and mold or mildew growth. But there’s an aesthetic element as well. Someone might not look at a home an immediately exclaim, “What clean gutters they have!” – But if your gutters aren’t clean, it’s an eyesore that instantly stands out. 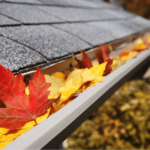 It’s time to give your gutters some TLC. 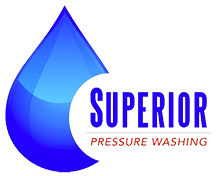 Superior Pressure Washing offers residents of Rockville MD gutter cleaning services that ensure the optimal functionality of your home’s most important tool. Give your property aesthetic appeal and enjoy the peace of mind that those rain storms won’t take a toll on your house… And let the experts achieve it for you!